Peter Walker—reporter at the Guardian and curator of its popular bike blog—shows how the future of humanity depends on the bicycle. Car culture has ensnared much of the world—and it's no wonder. Convenience and comfort (as well as some clever lobbying) have made the car the transportation method of choice for generations. But as the world evolves, the high cost of the automobile is made clearer—with its dramatic effects on pollution, the way it cuts people off from their communities, and the alarming rate at which people are injured and killed in crashes. Walker argues that the simplest way to tackle many of these problems at once is with one of humankind's most perfect inventions—the bicycle. In How Cycling Can Save the World, Walker takes readers on a tour of cities like Copenhagen and Utrecht, where everyday cycling has taken root, demonstrating cycling’s proven effect on reducing smog and obesity, and improving quality of life and mental health. Interviews with public figures—such as Janette Sadik-Khan, who led the charge to create more pedestrian- and cyclist- friendly infrastructure in New York City—provide case studies on how it can be done, and prove that you can make a big change with just a few cycling lanes and a paradigm shift. 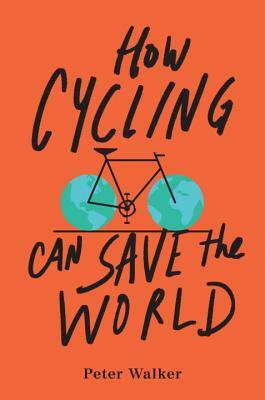 Meticulously researched and incredibly inspiring, How Cycling Can Save the World delivers on its lofty promise and leads readers to the realization that cycling could not only save the world, but have a lasting and positive impact on their own lives. Peter Walker is a political correspondent for the Guardian and runs its popular bike blog. As a news journalist he has reported from places ranging from Iraq to North Korea. Walker has also been named one of the fifty most influential people in British cycling. He has been a regular cyclist since working as a cycle courier in London and Sydney. "A fascinating read that informs, educates, and inspires." "Peter Walker has written the book I wanted to write. It should be compulsory reading for anyone in a decision-making role. This might seem a sweeping statement but when you see the diverse and positive impact more cycling could have on our lives—cyclist or not—you’ll understand."